CLYM Training educates individuals and groups how to clean up hazardous chemicals, radioactive materials or biological agents in life sciences research, development, production, distribution or medical care safely with regard to the environment. The company also teaches environmental health & safety regulations through online courses. The online classes allow for single use as well as group training. CLYM is currently offering a course called Hazard Communication: New GHS Requirements. The class details the changes to hazard warning labels and Safety Data Sheets required under the new OSHA Hazard Communication Standard. The professionals at CLYM Training are service-driven and focused on designing customized solutions to meet their clients’ needs. 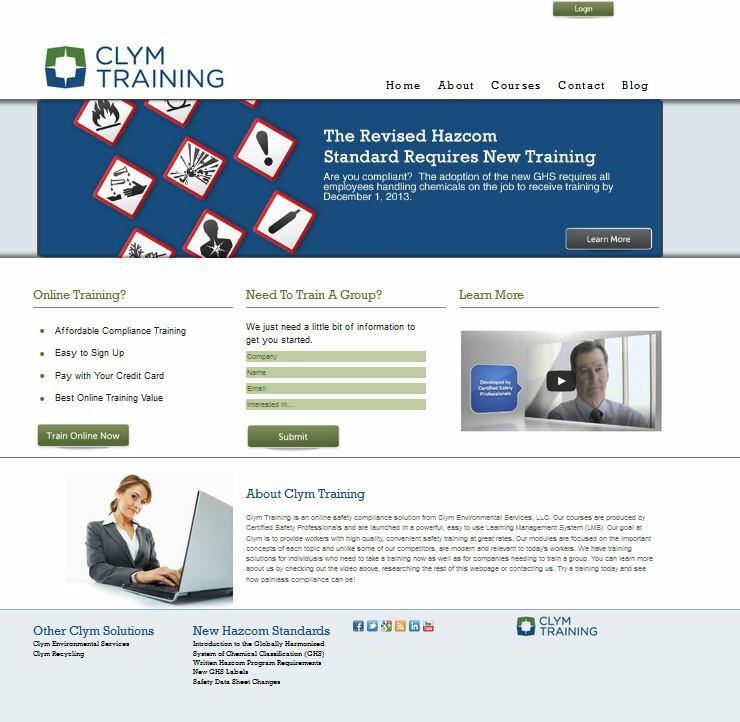 Check out the new site at http://www.clymtraining.com. Visit CLYM Training on its social media sites: Facebook, Twitter, Google+, Linkedin, and YouTube.